Retail Fraud in Michigan - What Can You Expect? Retail Fraud in Michigan – What Can You Expect? In Michigan, the retail fraud misdemeanor charge is extremely common. It can also be punished or charged as a felony under certain circumstances. A retail fraud case involves the allegations that the defendant stole or attempted to steal property from a store. Successfully defending a retail fraud charge takes extensive experience and an understanding of the reasons why good, law-abiding people can find themselves charged with this offense. An good retail fraud / shoplifting attorney who regularly defends these cases will have relationships with mental health professionals that can evaluate the person to determine if there are essentially “non-criminal” reasons for having committed the crime of retail fraud. In those cases where a person is innocent of the offense, a seasoned retail fraud trial lawyer is the best defense against wrongful conviction. Under the Michigan Third Degree Retail Fraud Statute, MCL 750.356d(4), one who is accused of stealing less than $200.00 worth of store merchandise is guilty of a misdemeanor with the possibility of a sentence of up to 93 days incarceration. This is in addition to fines of up to $500.00 or 3 times the value of the merchandise, as well as potential probation. Retail Fraud 3rdDegree is probably the most common retail fraud offense. Under the Michigan Retail Fraud Second Degree Statute, MCL 750.356d(1) if somebody gets caught stealing more than $200.00 up to $1,000.00 of merchandise, or get caught committing a retail fraud 3rd degree with a prior retail fraud conviction, they are guilty of retail fraud second degree. Additionally, a conviction for a second degree retail can result in fines up to $2,000.00 or 3 times the value of the stolen merchandise. Retail Fraud First Degree, MCL 750.356c, prohibits stealing more than $1,000.00 worth of merchandise from a retail store. Additionally, one may be charged with retail fraud 1st degree if they commit a retail fraud second degree while having a prior retail fraud. The penalty for a retail fraud first degree conviction is up to five years imprisonment, as well as a fine up to $10,000.00 or three times the value of the stolen merchandise. 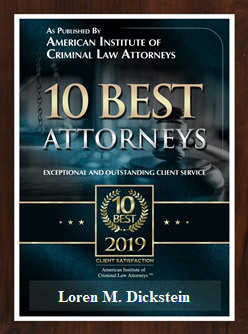 If our client is innocent of the felony or misdemeanor retail fraud charge, our team of highly skilled defense lawyers and experts can get to work to formulate a winning defense. Our highest priority is obtaining a full, outright dismissal if at all possible. In those cases where charges cannot be dismissed, our retail fraud experts get to work preparing to argue for a Not Guilty verdict. Despite what police or prosecutors may say, an acquittal in a shoplifting case can be achieved with careful preparation, hard work and an aggressive defense. When most prosecutors and courts look at people charged with a retail fraud charge, they simply see a dishonest person or somebody who likes to steal. However, in the great majority of our cases where our client engaged in some inappropriate act, they actually had the money to easily pay for the merchandise. In these cases there is almost always some other reason for the unfortunate behavior. We regularly can determine a legitimate, credible explanation as to why the offense occurred and how to make certain that the behavior is not repeated. 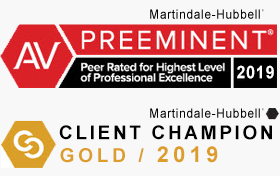 Experts who have worked with LEWIS & DICKSTEIN, P.L.L.C. have been able to diagnose mental health issues, such as extreme stress or anxiety, and have been able to explain how these issues resulted in a cry for help. In these cases, the acting out by shoplifting is not an act of a dishonest or bad person. A good, honest person can easily find themselves in this situation when subjected to stress, anxiety, depression or domestic, verbal or mental abuse. At LEWIS & DICKSTEIN, P.L.L.C., we know the negative impact a retail fraud conviction can be life changing. Many people are under the misunderstanding that retail fraud, even if it is a misdemeanor, will “fall” of a person’s criminal record after a period of time. This is absolutely not true. A retail fraud conviction will stay on a person’s criminal history forever unless it is eventually expunged or the conviction is set aside pursuant to MCL 780.621. If the property in question is valued under $200.00, the maximum jail sentence is 93 days. If the value is between $200 and $1,000, the maximum is raised to 1 year in jail. For felony retail fraud, the maximum possible sentence is 5 years in prison. Because retail fraud is considered to be a crime of dishonesty, a conviction can have life-long consequences. This type of conviction can result is a loss of employment, changes in child custody, revocation or the inability to get a professional or medical license, loss of public benefits, denial of admittance to college or a university. When properly and zealously defended, most (if not all) of the consequences of a retail fraud conviction can be avoided. There are a multitude of ways a case can be resolved by a great retail fraud defense attorney in which a conviction, fines, costs, probation and/or jail can be prevented. 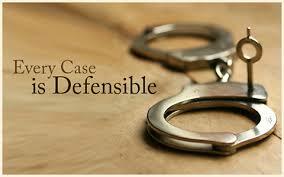 An experienced, aggressive retail fraud defense lawyer can help you! If you or a loved one is charged with any type of retail fraud case in Michigan it is important that you have legal representation that has experience in those types of cases and access to experts that can help with the defense. Lewis & Dickstein, P.L.L.C. is the law firm with the experience and passion to stand up for you against a prosecutor that just does not understand. Please call us at (248) 263-6800 or complete a Request for Assistance Form and one of our attorneys will contact you.